Arne Norell was a multifaceted designer, who gladly tried many different material combinations. 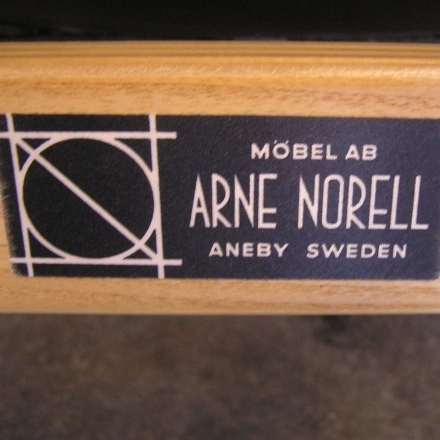 He gained an interest in classic furniture and started his own company; Arne Norell Möbel AB in 1954, where he designed and manufactured furniture. His most well-known and appreciated pieced is the easy chair “Ari”, designed in 1966. In 1973 he was awarded “Showpiece of the year” by British Furniture Manufacturer´s. Many of his designs are still manufactured by his company now under the name Norell Möbler AB.